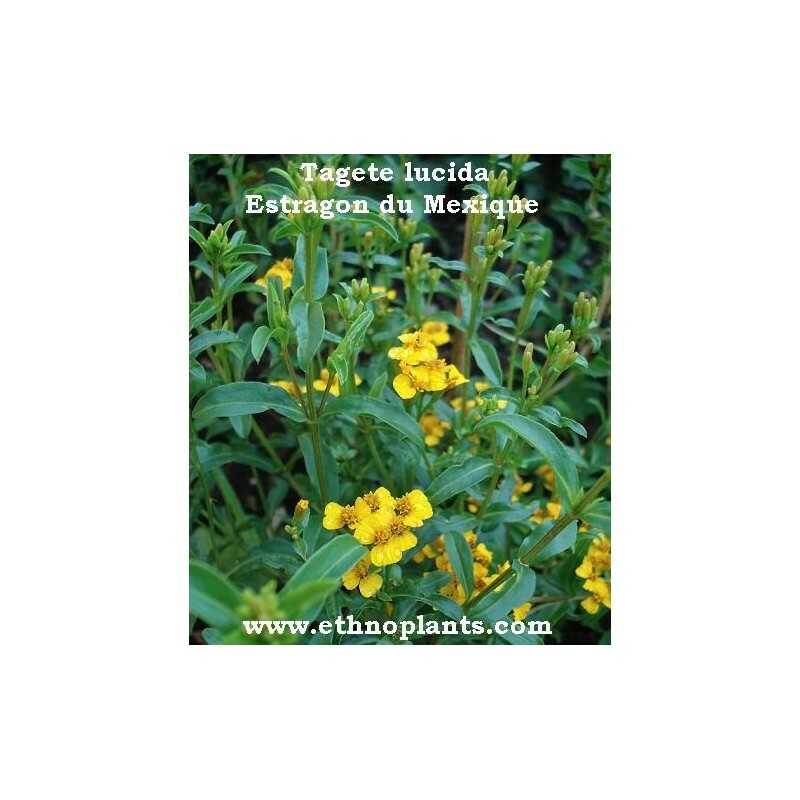 Tagetes Lucida, Mexican tarragon or Yauhtli is a fragrant herbaceous plant native to Mexico. Mexican Tarragon can reach a height of 50 cm. Its leaves are punctuated with small glands containing an essential oil. 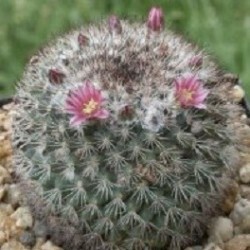 It has a yellow flowering throughout the summer. The seeds of Tagetes lucida are fine and slightly resemble those of the Pampas grass. 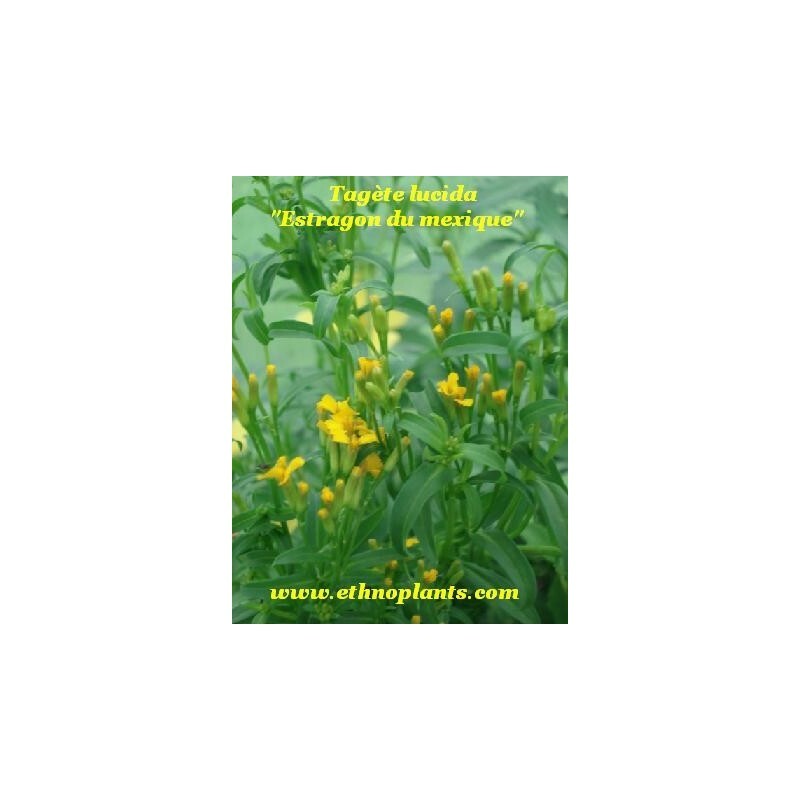 Mexican tarragon is a medicinal plant but also used for its nootropic properties. The Tagetes lucida has a very sweet taste of anise thought of star anise. In Mexico, the herb is used as tea to soothe stomach ache, to relax, and or to reduce the symptoms of a hangover. 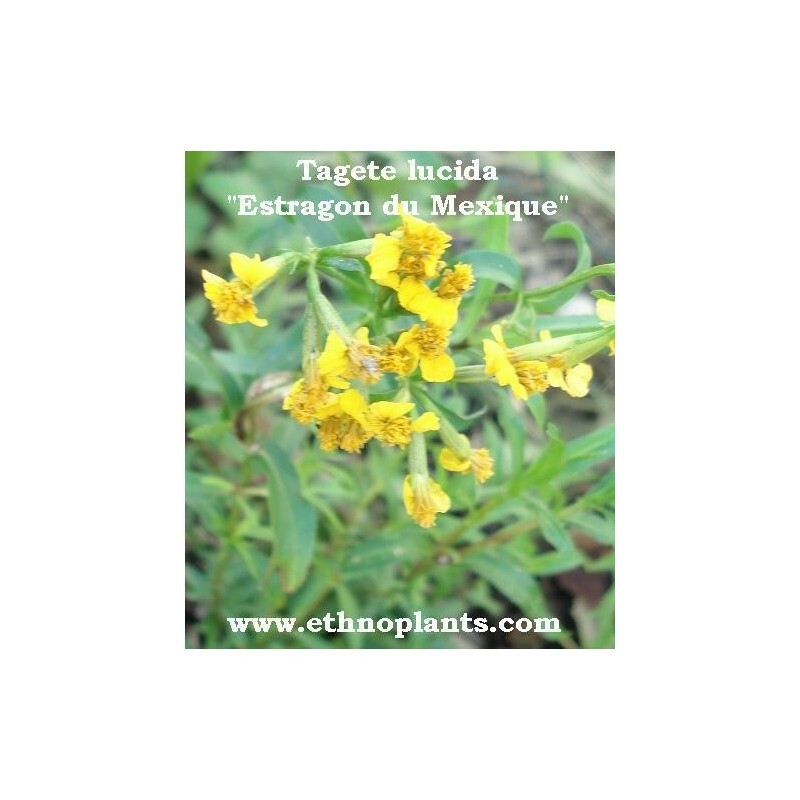 Tagetes lucida is also used in Mexican shamanic rituals by drinking several infusions of leaves, just like the dream herbs. It is also used as a flavor agent in soups, sauces etc. 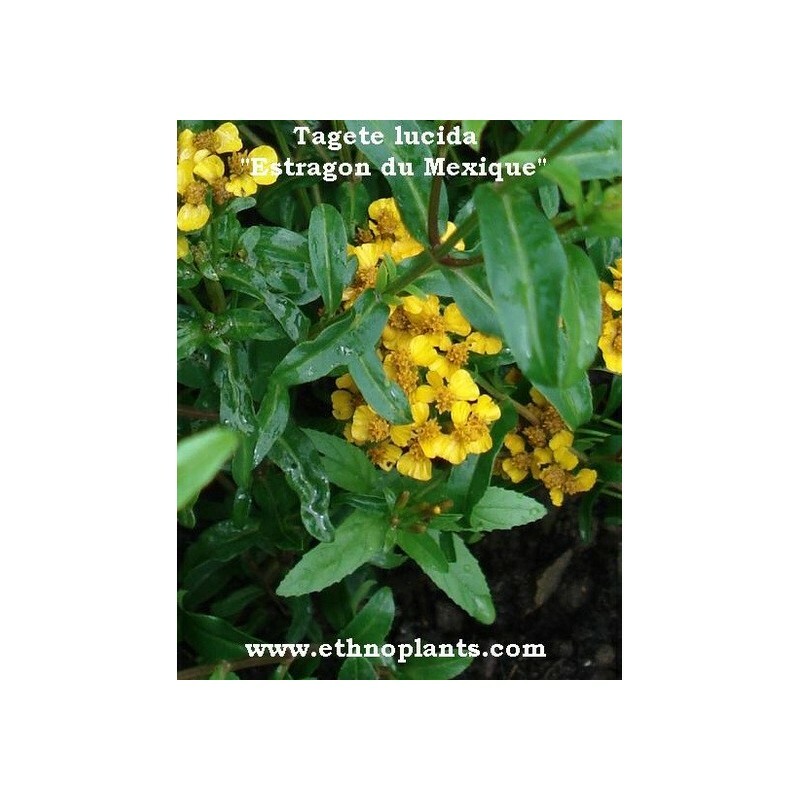 Sow your seeds of Tagetes lucida in a box of fine soil, cover with 1 mm only, water and place all under a greenhouse at 25 or 30 ° c.
Yauhtli seeds will germinate under its conditions, if the temperature is lower, Mexican tarragon seeds will remain dormant until the temperature is sufficiently high. - Perennial plant, but does not resist frost, to return the winter. - Very beautiful yellow flowers from May to October. - Has a very pronounced smell and taste of anise. 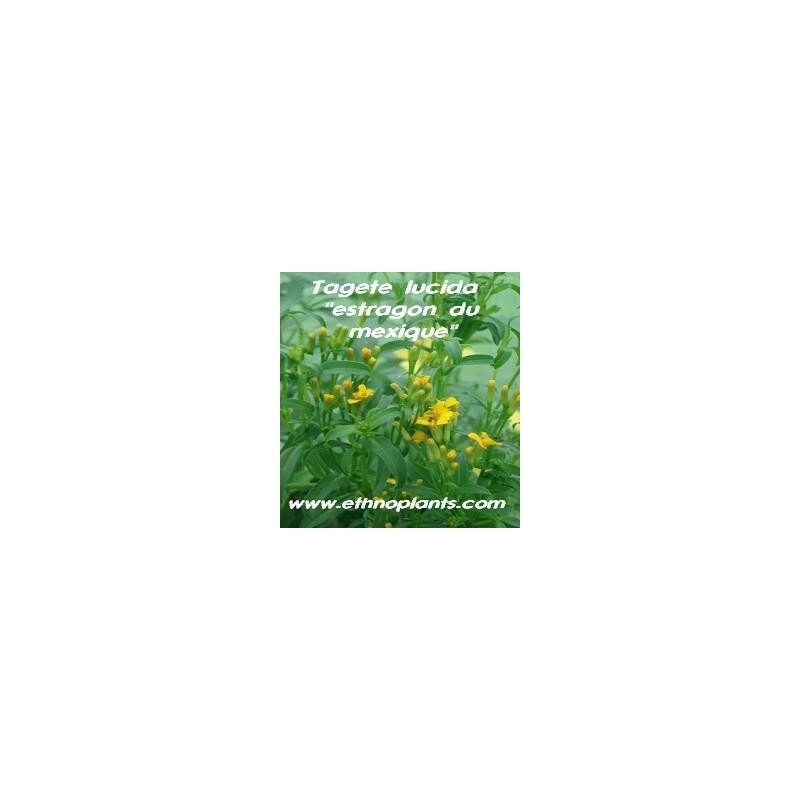 - Very good medicinal plant effective. To be collected only as an ethnobotanical and shamanic plant. Also available as a live plant to grow directly in the garden.